Unless they are heading off to spend the holidays with relatives, most people don’t think of December as the perfect time to take a vacation. But if you are looking for an early winter escape, you might want to consider escaping to Morocco. Even in December, the weather is pretty friendly in Morocco. There’s a bit more rain in the winter than there is in the summer, but the temperatures are quite mild overall. And with so much less tourist traffic to contend with, December is a great time to visit some of the busier areas, like Marrakech. 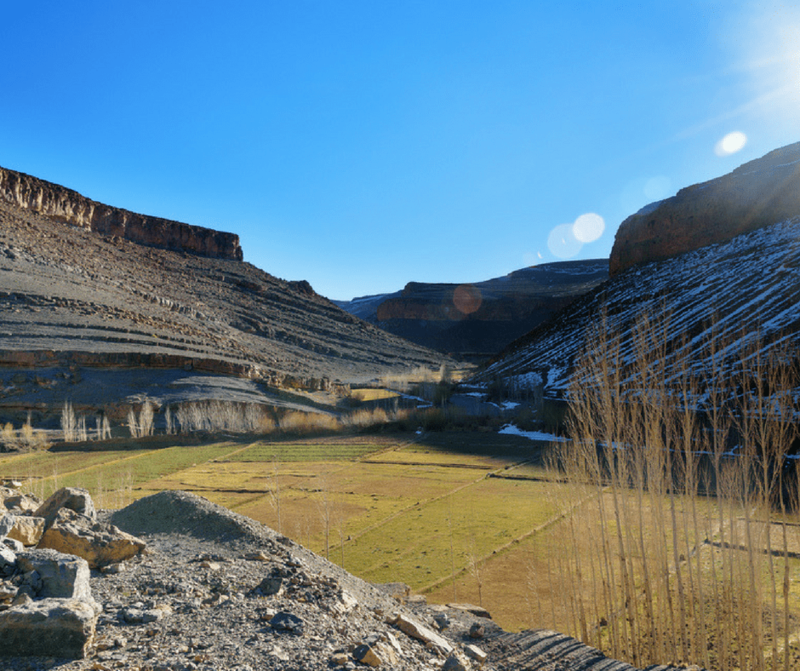 This may not be the best month for sunbathing on the beach, but if you’ve wanted to go hiking around out in nature without suffering from heatstroke, December is one of the best times to visit Morocco. When booking accommodations, keep in mind that central heat is not all that common, so make sure you know what to expect. 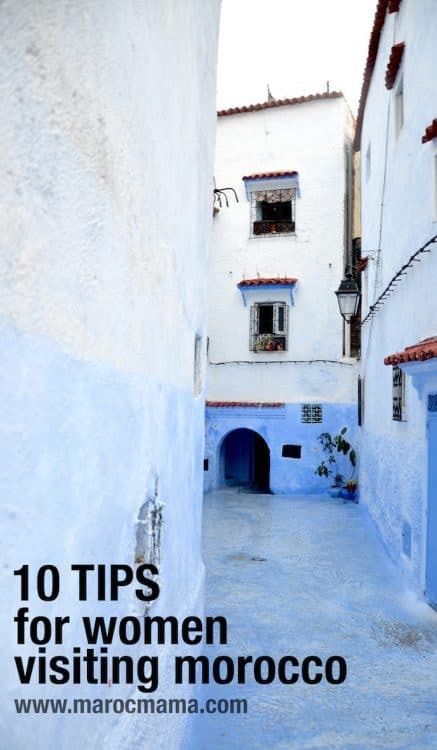 It’s always a good idea to have a sleeping bag or blanket among your belongings when traveling to Morocco in the winter if you’ll be staying in lower cost accommodation. Hotels and most riads will provide in room heating, space heaters and/or additional blankets. Don’t let the holidays stop you from enjoying the Moroccan holiday of your dreams. In fact the week of Christmas and New Year’s are some of the busiest times of the year. If you’re coming in early December you’ll discover it’s one of the cheapest times to travel to Morocco. Plan your trip early so you’re home in time for the festivities. You can tell everyone that your Moroccan vacation was a present to yourself! If you’re wondering what to pack, check out this post with suggestions on what to wear in winter. The weather definitely cools down quite a bit in Morocco in December. Temperatures in Marrakech average 14°C degrees during the day, and quite a bit cooler after dark. There is also a fair chance that you will run into rain at some point on your visit, as December is one of Morocco’s rainiest months. Compared with much of the Northern Hemisphere, winter in Morocco is a dream. The weather is much more akin to Autumn than the winter most people experience. But if you plan to spend any time in the Atlas Mountains during your trip, be prepared for some actual winter weather at higher altitudes. Morocco is one of the few places where you can ride camels in the desert one day and go skiing the next! If you’re looking for a winter escape, Morocco is a great place to visit. Because when that North African sun shines down on you, it warms you right down to your heart. If you are heading to Morocco in December, think about packing clothing that would be comfortable for you in the autumn. Slacks, jeans, sweaters, long skirts of heavier-weight fabric, sweaters, sweatshirts, and hoodies are all an excellent way to stay comfortable when the weather is cooler. Remember, though, that the sun can still feel quite hot at times, so dressing in layers is a great idea. It is also a great idea to be prepared for much cooler nights. 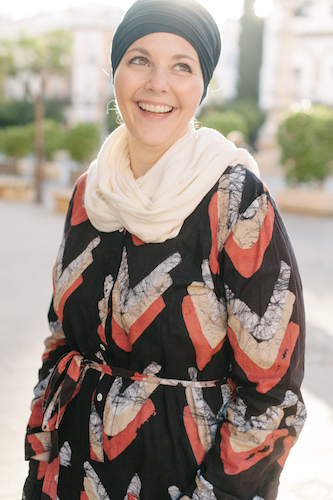 Many of the accommodations in Morocco are without central heat and air, so be prepared with warm pajamas and robes, an extra blanket, and even a sleeping bag (even if you don’t plan to stay the night in the desert). If you plan to visit the mountains, a heavier jacket, warm socks, hats, and boots will be helpful. And thermal underwear is a great idea, too, if you plan to ski or hike in the mountains. When packing for December in Morocco, the best advice of all is to be prepared for anything! For movie lovers, the Marrakech International Film Festival is a real treat. Gathering together some of the best international writers and actors, the festival is a celebration of some of the best Moroccan and foreign feature films, photography, and shorter video projects. The Marrakech International Film Festival is one of the best reasons to visit Morocco in December. December is a great time to make a winter escape to Morocco. Although it is one of the colder months of the year, it is quite comfortable during the day when the sun is out. Even after dark, you’ll be fine with a jacket and hat. There is so much beautiful land to explore in Morocco, and a sunny December day is a great time to head out for a long hike. Whether walking along the beach or strolling through a city market or hiking a trail in the desert, the sun keeps you warm while cool temperatures keep you comfortable. And if you find the day too chilly or rainy to suit your mood, there are wonderful places to relax over a bowl of couscous or other Moroccan dishes, listen to some music, or enjoy some beautiful works of art. 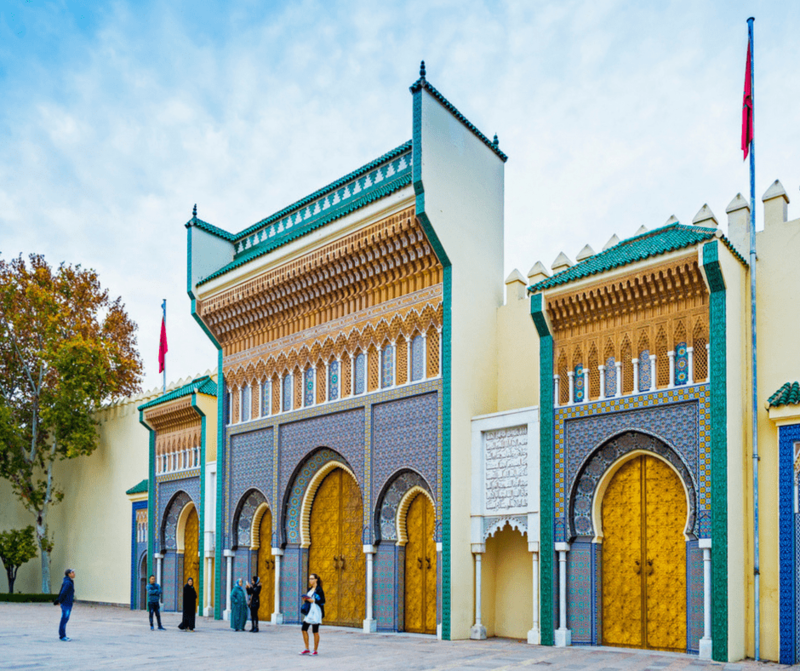 From large cities to friendly villages, Morocco is as diverse as the geography of the land. There literally is something here for every explorer, in December and throughout the entire year! No visit to Morocco is complete without a trip to Marrakech and in December, you might get the chance to catch the Marrakech International Film Festival. Be sure to take the time to visit the Jemaa el-Fnaa marketplace in the old Medina, and spend some time getting lost in all the sights and sounds. While spending time in the old Medina, make sure you take some time to visit the tanneries. Watch luxurious fabrics hand-dyed by skilled workers, preparing them to be used to make dresses, coats, bags, and any number of other beautiful items. It’s like taking a brightly colored step back in history. If you are looking for a beautiful place to walk on a sunny day in Marrakech, the Jardin Majorelle Garden is one of the most beautiful locations you’ve ever seen, even in December. This magical garden was created by French paint Jacques Majorelle, who spent forty years of his life creating the garden of his dreams. It is a place of pure enchantment. Taroudant is a lovely little city, approximately an hour and a half east of the coastal city of Agadir, on the road to Ouarzazate. 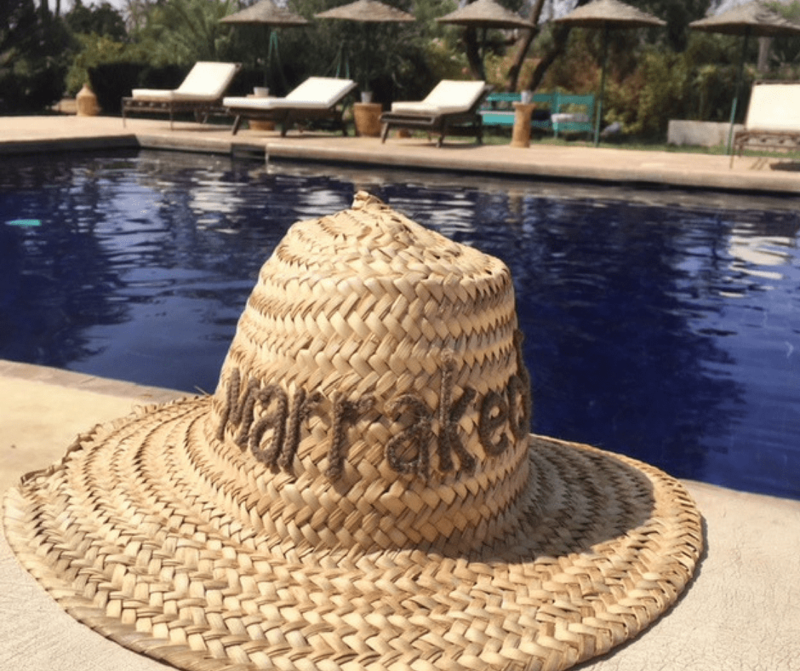 Located a bit south of Marrakech, Taroudant is sometimes referred to as the “Grandmother of Marrakech” because it is so similar in many ways. But this charming city also has much to offer travelers, all on its own, especially for travelers looking for amazing crafts, jewelry, carpets, and other handmade items. 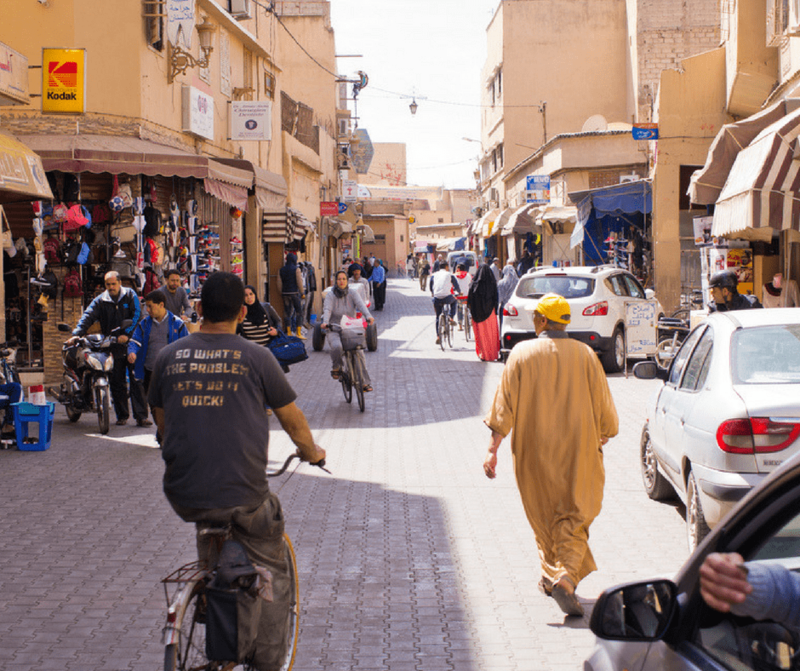 The city of Taroudant is a wonderful place to just walk around. You will often find street artists painting something beautiful on one of the many walls. Berbers come to Taroudant to sell produce and other wonderful things. It is a great place to connect with the locals without the market crowds found in the bigger cities. If you love art and history, be sure to pay a visit to the Claudio Bravo Palace, which was the home of Chilean-born artist Claudio Bravo Camus. Claudio Bravo came to live in Morocco because of its “exceptional light” and since his passing in 2011, his home has become a museum. It is also a riad, so if you’d like to kick back and relax and stay a while, you are welcome . . . for the night, or even longer. One great place to visit in December is Rabat. The capital city has all the modern conveniences you could want, with a busy European vibe. With so many great places to dine and shop, it’s easy to head inside anytime you need a break from the chilly weather or the rain. One great place to escape the chill is the Mohammed VI Museum of Modern and Contemporary Art. It opened in 2014 and shows a lovely collection of modern, contemporary Moroccan and international art. As fun as this modern city is to explore, be sure to leave plenty of time to visit the Medina. The walled original city is beautiful and small enough you can explore it in less than a day. 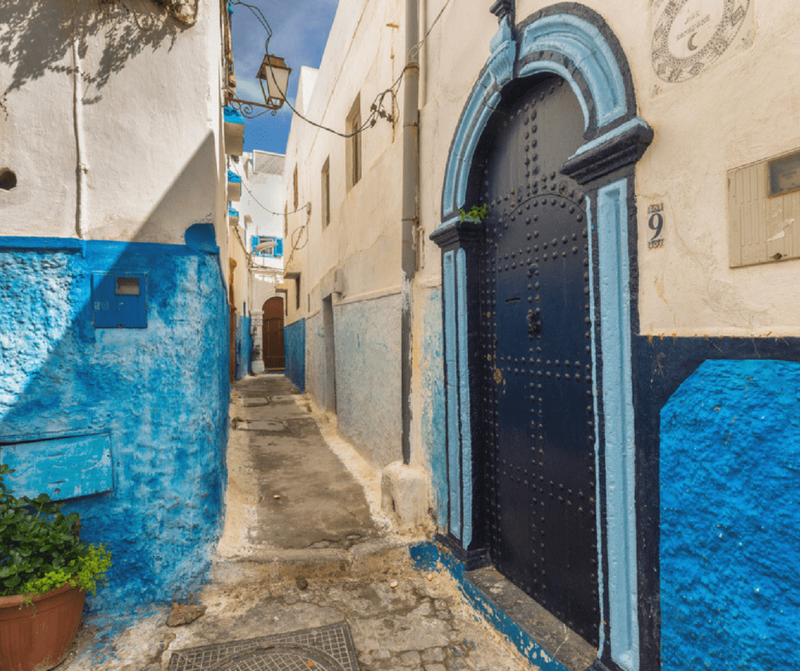 The Medina is built on a grid dating back to the 17th century, and walking within its walls reminds you of that for all its modern charms, the historic roots of Rabat run deep. Two-and-a-half hours south of Casablanca, on the Atlantic coast, is the picturesque city of Safi. There is a strong Portuguese influence in the area and it is known for great beaches, friendly people, and beautifully ornate Safiot pottery. Head over to the National Ceramics Museum to learn more about Safiot pottery. The museum is located in the Kechla citadel, which was built by the Portuguese in the 16th century, and is worth seeing even without the ceramics. But the collection housed inside is breathtaking and nearly indescribable. 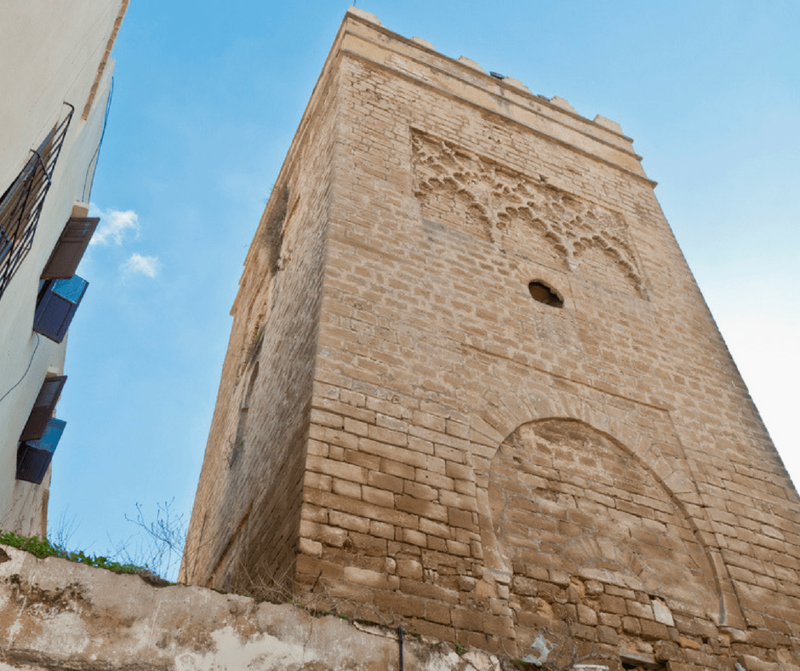 While walking around taking in the sights in Safi, make sure you make it to the Ksar el-Bahr – the “castle of the sea.” A fortress that was built by the Portuguese in the 16th century, it is a great place to enjoy panoramic views of the ocean and the medina. 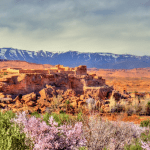 If those cold winter temperatures are getting you down and you need a great place to escape for the holidays, the friendly country of Morocco is right here waiting to make you feel at home. What are you waiting for? As in most places in the Northern Hemisphere, the weather in December in Morocco can be a bit unpredictable. 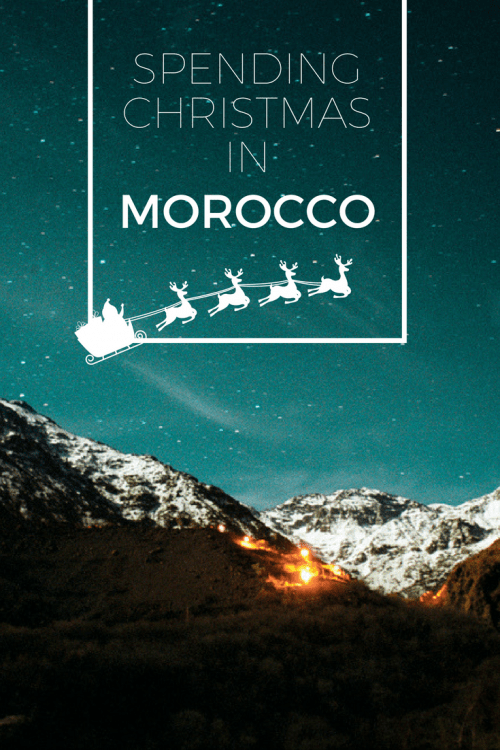 But if you pack in layers and have contingency plans for days with inclement weather, December is an excellent time to enjoy a fun-filled Moroccan vacation. Pick up your freebie for purchasing one of the exclusive deals! Success! Now check your email to confirm and get your free gift!